Some people might not even know that there was a Flash TV show before the Flash TV show, but there was, and it has ratings. Despite the 1990 show only having one season, the ratings for it are quite high considering there are other shows airing right now with much lower ratings, but continue to air season after season. The 1990s show is on the left, whilst the 2014 one is on the right. 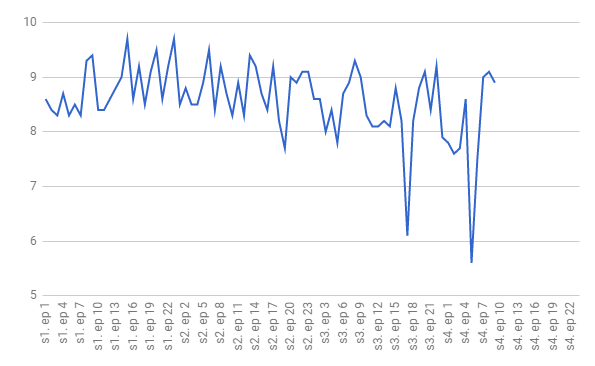 As you can see, there is much less data for the 1990s Flash TV show, but we can still learn a lot for this as long as we can assume that it continues to trend upwards onto a second season if it was given one. 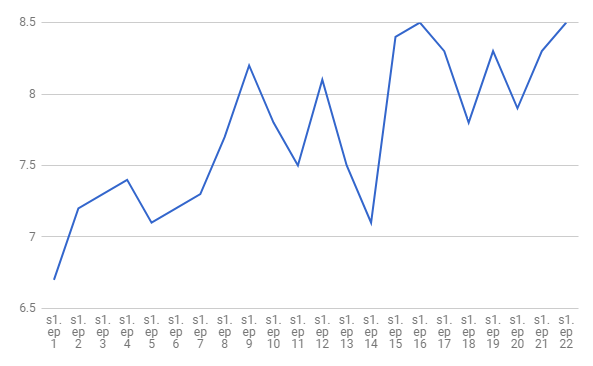 Like most every show, the first episode is the worst rated, but after that the show enjoys good ratings, but when compared to the 2014 Flash TV show, it really suffers in comparison. Despite the 2014 show suffering in it's fourth season, the show's average rating is still 8.5 compared to the 1990's 7.7. However, the worst episode for the 2014 show is 5.6, whilst the 1990's is 6.7. Another key difference with that is that the worst show in 2014's is early on in season 4, whilst it is the first episode of 1990's, which as I said before, is really common. If we take the nostalgia goggles off and just look at the facts, 2014 is far better received, but if the show continues to perform the way it has been doing (having the worst and the second to worst episode air in the last 15 episodes), it could really tank the show and it may follow in the footsteps of it's predecessor.